I have been collecting nail polish like nobody's business! Luckily that came in real handy for the Prabal Gurung for Target launch. I just LOVE the prints from the collection. 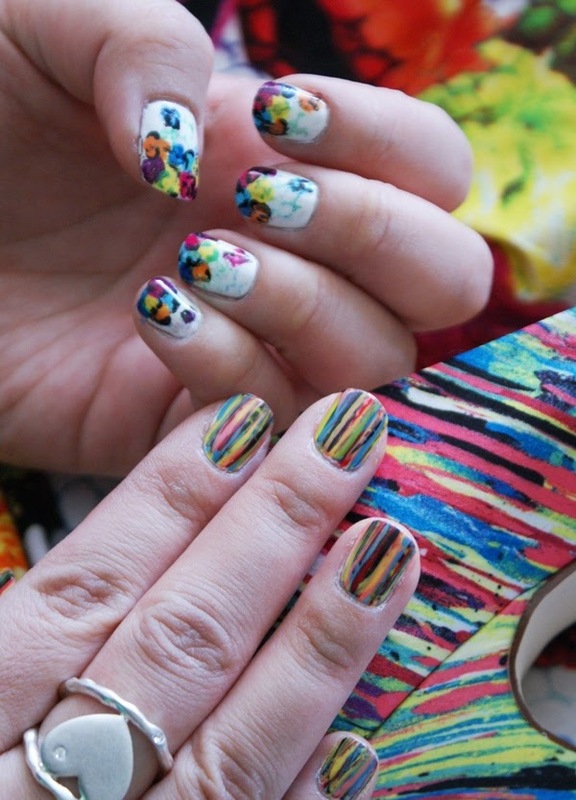 I love them so much that I painted my nails as a homage to the floral crush print and the nolita print. Check it out! How many colors did I use? If you guessed 12 then you're right! I have a huge arsenal of Julep and Zoya polishes, so I picked from my collection. These are the colors I used: Julep colors are Eva, Leah, Claire, and Alicia, and Zoya colors are Jancyn, Raven, Purity, Carly, Tart, America, Mitzi, and Pippa. To start, I painted my nails white. 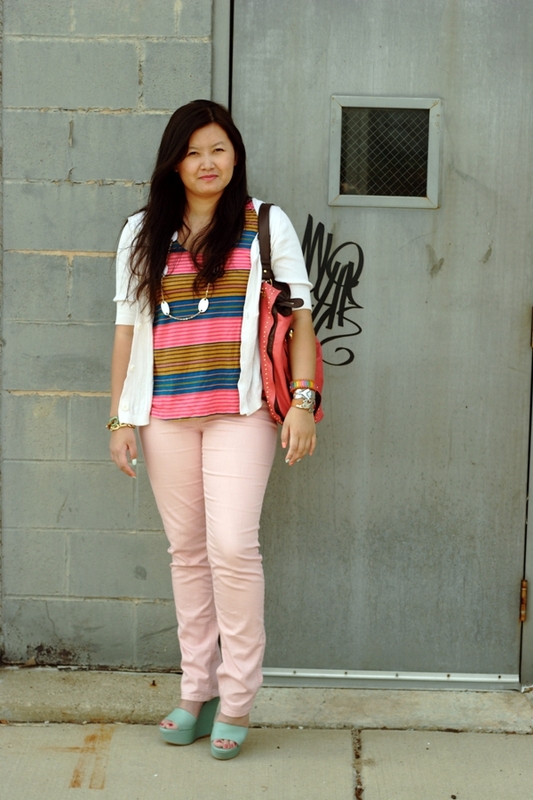 For the nolita print, I used a thin long brush and just layered on stripes until it looked 'right.' For the floral crush, I tried to incorporate the 'scaley' print part by using a paper towel. I brushed a bit of polish (green Julep Leah) on the paper towel then used that to lightly stamp my nails, and then I just used a regular short brush to pain the flowers. Finally I finished with my dotter to add some black outlines (green for the yellow 'flower'). 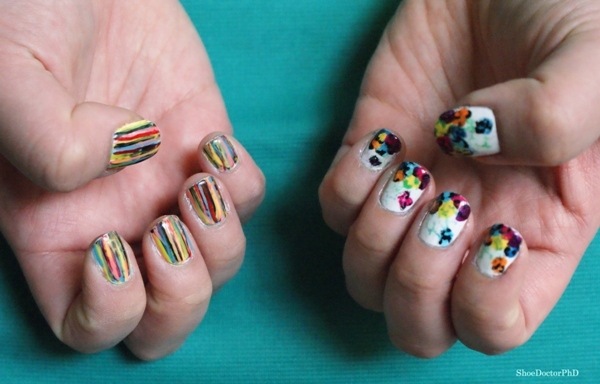 I am no nail art expert, so if I can do this, so can you! I'm so proud of myself for finally using my MASH nail art brushes that I bought on a whim almost a year ago. I made a MASSIVE mess though, especially with the nolita print so please excuse the residue white polish, it'll come off after a hot shower. Have you been inspired by the Prabal Gurung for Target collection? Do share! Shoe Research: JS Dany is baaaaack!!! Dany is available in the somewhat over-the-top creatively named colors, 'coffee summer haze,' 'oatmeal vintage floral,' 'brown leopard linen,' and 'brown petes shirt.' (Who's Pete?) If it were me, I would have gone with taupe, floral, leopard print, and stripe. That's why I study science. If $98 is too steep for your budget, check out the Dollhouse Curia platform sandal, same type of shoe-flavor for only $37. Will you take a ride on the Dany bandwagon? 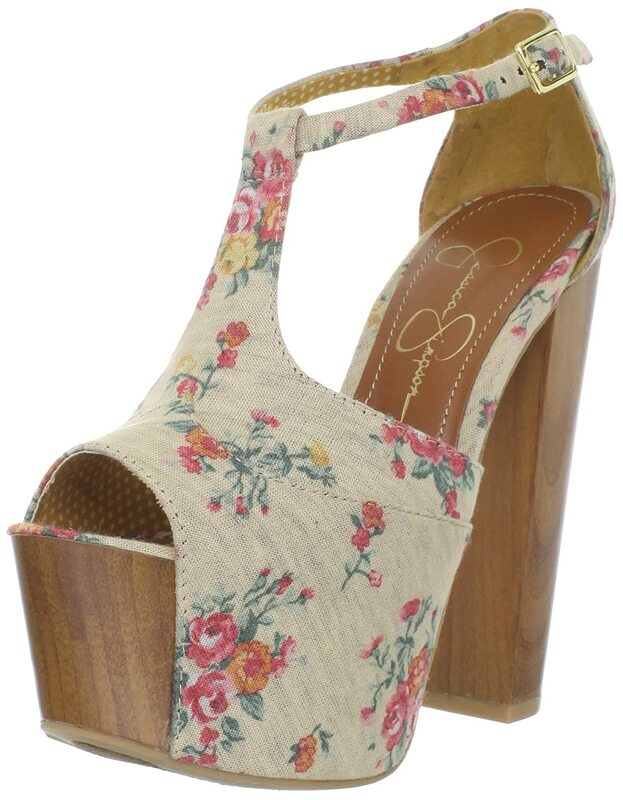 These are the 'Rita' by Moda Spana, $49.95 from DSW (get them here). 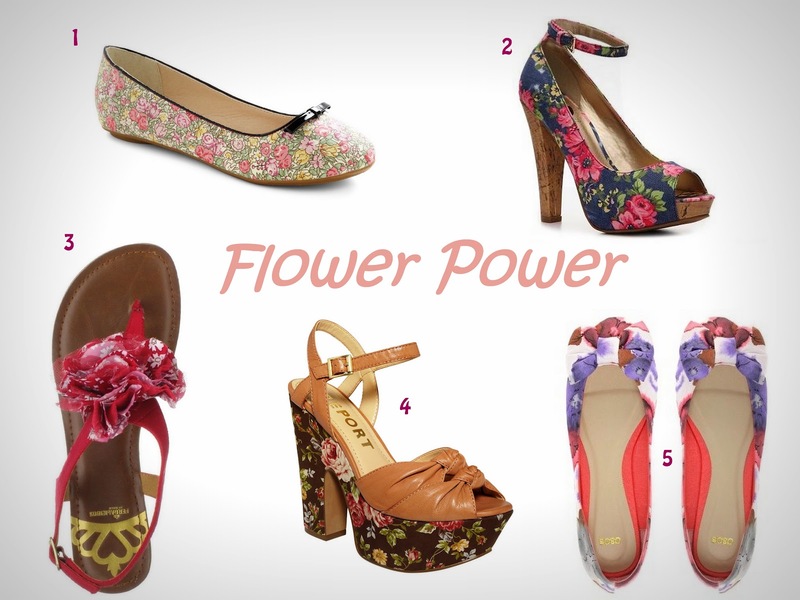 What stylish footwear are you wearing today? Remember when I showed you all this photo on Facebook of my new mint Phebe wedges back in March? Well, I finally got to wear them! Thank you mother Earth for giving Michigan a taste of beautiful spring weather! This was my attempt at the Everybody Everywear pastels challenge. However, I just ended up wearing a lot of pink. The one on the left is the Marco Santi 'Brooks' wedge from Sole Society, $49.95. The one on the right is the Casadei 6421 wedge, MSRP $670. Which do you prefer?